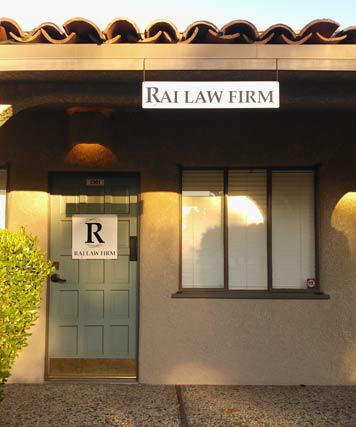 The Rai Law Firm is committed to providing its clients with the best results possible. Attorney Gurjeet Rai brings with him superior written and oral advocacy skills to both effectively and efficiently handle each matter. At the Rai Law Firm each matter is considered unique, and as such, it is given the attention necessary to accomplish the desired results. The Rai Law Firm is dedicated to providing its clients with knowledge and experience to successfully achieve their goals. The Rai Law Firm provides its clients with the commitment and quality they deserve. You deserve an attorney who will listen to your needs, respond to your questions, and aggressively represent your interests in and out of the courtroom. The Rai Law Firm takes pride in working closely with its clients to devise a winning strategy and fight assertively to execute that strategy. Let the Rai Law Firm help you achieve your goals.